Sarah E. Brown – Updates from a young author and educator. 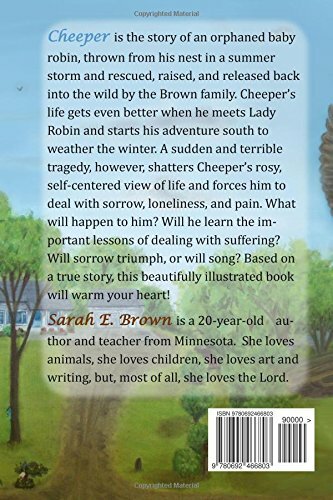 My name is Sarah E. Brown, and I am a young, Christian, animal-loving Minnesota author and educator. I live with my parents and two brothers in the beautiful Minnesota countryside. I just completed my Bachelor’s in Elementary Education, and I may later go on to get my Master’s degree in Education as well. I would love to start a small Christian school out of my home and perhaps even create/compile curriculum. Besides education, I also have a love for secretarial/bookkeeping work. I currently help to manage the office for my parents’ carpet cleaning business. Besides this, I try to find extra time for music (piano, flute, and singing), art (drawing especially), and my pets (check out my puppy website: www.CountrysideCavachons.wordpress.com). I love raising and selling puppies. Obviously, I also love to write. I have currently published three children’s books, Learning Lessons from Furry Friends (2011), The Prodigal Pup (2012), and Cheeper (2015). It’s my desire to publish stories based on true events about animals that will point children to Jesus. 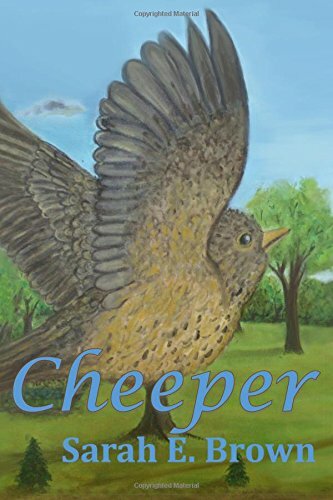 Synopsis: Cheeper is the story of an orphaned baby robin, thrown from his nest in a summer storm and rescued, raised, and released back into the wild by the Brown family. Cheeper’s life gets even better when he meets Lady Robin and starts his adventure south to weather the winter. A sudden and terrible tragedy, however, shatters Cheeper’s rosy, self-centered view of life and forces him to deal with sorrow, loneliness, and pain. What will happen to him? Will he learn the important lessons of dealing with suffering? Will sorrow triumph, or will song? This beautifully illustrated book will warm your heart! Age: The book is 130 pages long and is geared towards the Primary-Junior age range; however, I do believe the story and the message will speak to all ages. 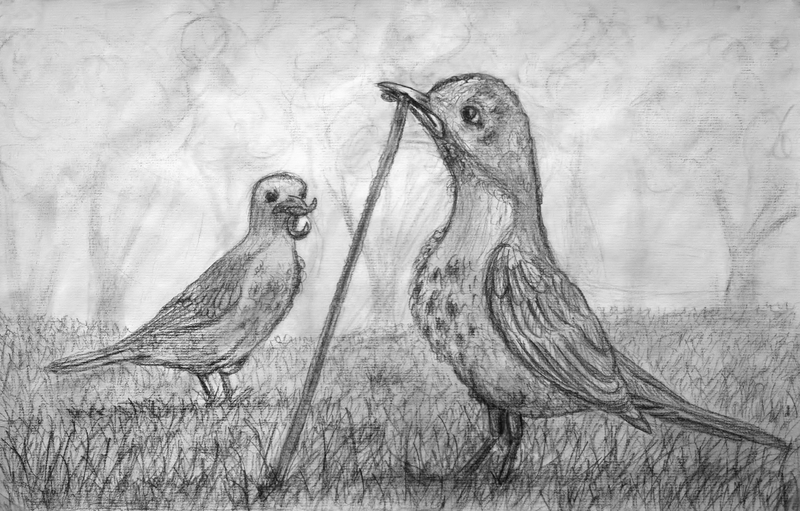 The book is in black and white, with numerous illustrations done in charcoal (example below), while the cover is a full-color oil painting of Cheeper. Available: Cheeper is available in paperback and e-book formats from Amazon, here. Synopsis: One dirty pup. One friendly missionary. When the two meet, a bond is formed. The missionary takes the puppy home and cleans him up. The pup loves his new home and master, but he still loves playing in the mud! He is torn between obeying his master and doing what he thinks is fun. Then one day his fun gets him into a heap of trouble! Can the little pup be saved? Will his master rescue him? Sin and salvation. Repentance and forgiveness. 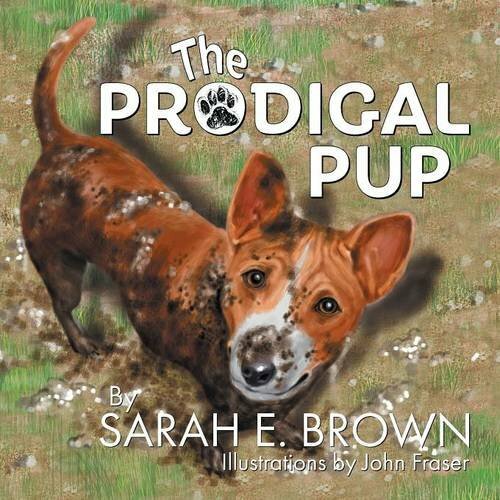 Children will learn about these important biblical concepts through the fully illustrated, TRUE story of a naughty pup and a loving master in The Prodigal Pup. Age: Although geared towards children, this book is good for anyone who has struggled with sin–in other words, everyone! 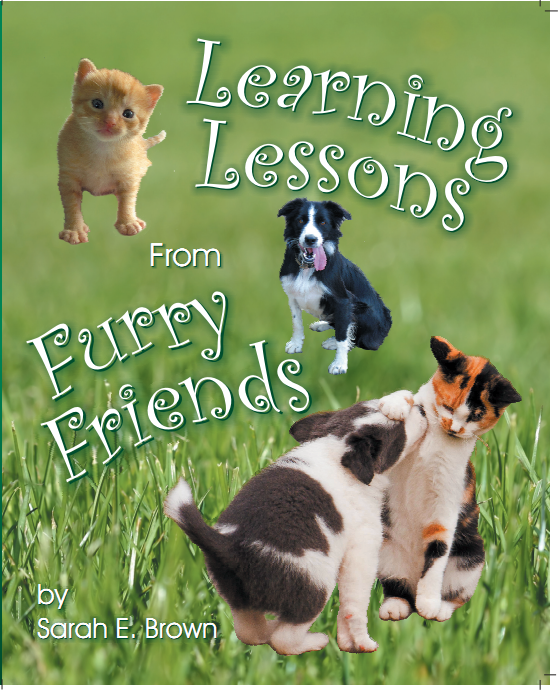 Available: You can find this book in paperback and e-book formats on Amazon, Barnes & Noble, and Teach Services, Inc.
Synopsis: Learning Lessons From Furry Friends will introduce you to Mama Kitty, Blackie, Smudge, Tiree, Puff, Shasta, and many of the Brown’s other furry friends. Join the Brown family as they raise litters of kittens and puppies, experience hardships and losses, and turn every situation into a chance to learn valuable lessons about life and God. This book will teach you how to prepare for a litter of kittens, how to deal with the loss of a pet, how to train an unruly puppy, and much more. You’ll also find out why you should never push a kitten out of a tree! In addition, Learning Lessons From Furry Friends will answer questions such as, “How can I be ready when Jesus comes?”, “Why is there so much pain and suffering here on earth?”, “What happens when your pet dies?” Learn about animals, learn about life, and most importantly, learn about the Bible and grow closer to Jesus by reading Learning Lessons From Furry Friends. Age: Mostly for ages 6 to 13; however, younger children may like having the book read to them, and animal-loving adults may even enjoy these stories. Available: Buy in paperback, hardcover, or e-book from Amazon, Barnes & Noble, and Teach Services, Inc.